Pastor Allen answered God’s call to ministry after five years of service to the United States Navy. 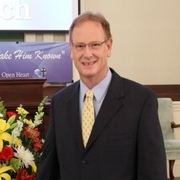 He has received an Associate of Divinity degree from Southeastern Seminary, a Bachelor of Arts degree from Bluefield College, and a Master of Divinity degree from Luther Rice Seminary. During his twenty-three years of ministry, he has served churches in Virginia, Alabama, and North Carolina. Allen has a passion for Missions and has led several mission teams to places like Mississippi, Virginia, Alabama, and Honduras. He considers missions and pastoral care to be the main focus of his service to the church. Allen enjoys ministering with all age groups in the church body. He and Cari have two teenage boys at home, Caleb and Camden. 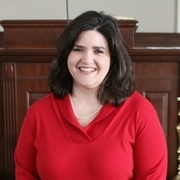 Cari Mahan attended Gardner-Webb University and Bluefield College. She has a Bachelor of Arts degree in music with certifications in Music and Elementary Education. She has served in other ministry positions such as Youth Director, Children’s Director, and pianist. Cari has also taught music and third grade in public and private schools. She has had opportunities to sing in various vocal groups as well as direct music for some local theatre productions. Her two passions are music and ministry so using them together is a double blessing for her. Sally’s career has been in banking, bookkeeping, and investments which helps her daily at Kentuck Baptist. Sally is a lifelong member of Wesley Chapel United Methodist Church. She and her husband, Sammy, have one son named Tim. 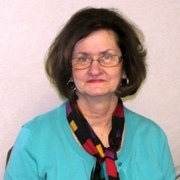 She enjoys reading, cooking, and spending time with her grandkids, Taylor and Landon.